I asked on Twitter today for books that people would like to have read, but don’t want to put in the time and effort to read. What’s a book you would like to have read but don’t want to read? Here are the responses I got, organized by category. Bernstein’s Matrix Mathematics is impressive. It’s over 1500 pages and weighs 5.3 pounds (2.4 kg). It’s a reference book, not the kind of book you just sit down to read. (Actually, I have sat down to read parts of it.) I’d used a library copy of the first edition, and so when Princeton University Press offered me a review copy of the second edition, I jumped on it. Matrix Mathematics has a lot of information on linear algebra. As you’d expect from the title, it’s mostly about linear algebra. And despite it enormous size, it’s also dense. Mostly definitions and theorem statements. Some examples and proofs, but mostly statements of facts. But there are a lot of other topics covered too. For example, I was surprised to see a section on Bell polynomials, a topic I ran across in my work and blogged about not long ago. Why even have reference books these days when you can easily find so much online? For one thing, there’s still a lot you can’t easily find online. When you go beyond commonly known material, as this book does, it gets hard to search for what you need. For another, an author goes to tremendous effort to arrange the information coherently. When you read a book you find things you didn’t know to search for. Maybe you start by looking up what you think you need to know in the index, but then you find out from context what you really needed to know. I’m glad to add this to the books I keep close at hand. I can find what I need quickly, and that’s more important than it may seem. If I save a couple minutes, the benefit is not just that I get a couple more minutes work done. The main benefit is that I increase my chances of acting on an inspiration before it evaporates. In the introduction he explains that he’s German, he’s writing in a foreign language, he apologizes saying he is writing in a language that was “not sung by the gods at my cradle.” You can’t get any more poetic than that. I’m a great admirer of his style, of his exposition and his mathematics. They go together. Here’s the portion of the preface that Atiyah is quoting, where Weyl apologies eloquently for his lack of eloquence in writing English. The gods have imposed upon my writing the yoke of a foreign tongue that was not sung at my cradle. I am tempted to say with Gottfried Keller. Nobody is more aware than myself of the attendant loss of vigor, ease and lucidity of expression. 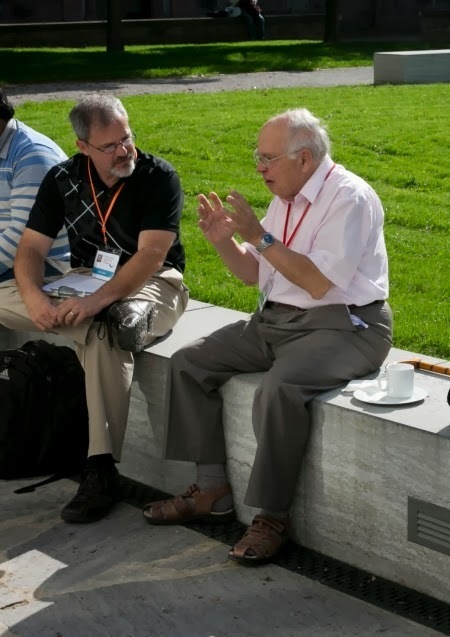 Photographer Bernhard Kreutzer came by while I was interviewing Atiyah at the first Heidelberg Laureate Forum in 2013. An Easter egg is a hidden feature, a kind of joke. The term was first used in video games but the idea is broader and older than that. For example, Alfred Hitchcock made a brief appearance in all his movies. And I recently heard that there’s a pineapple or reference to a pineapple in every episode of the television show Psych. Michael Spivak put references to “yellow pig” in some of his books. I’ve heard that he put allusions to yellow pigs in all his books, but I don’t have all his books, and I haven’t been able to find yellow pigs in two of his books that I do own. Spivak’s calculus text is dedicated to the memory of Y. P.
Spivak’s publishing company, Publish or Perish Press, originally used a pig as part of its logo. The web site now has no logo. 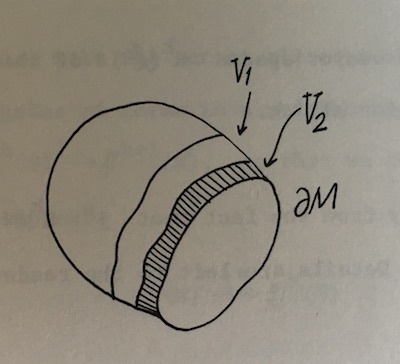 His most recent book, Physics for Mathematicians: Mechanics I, uses a different logo. 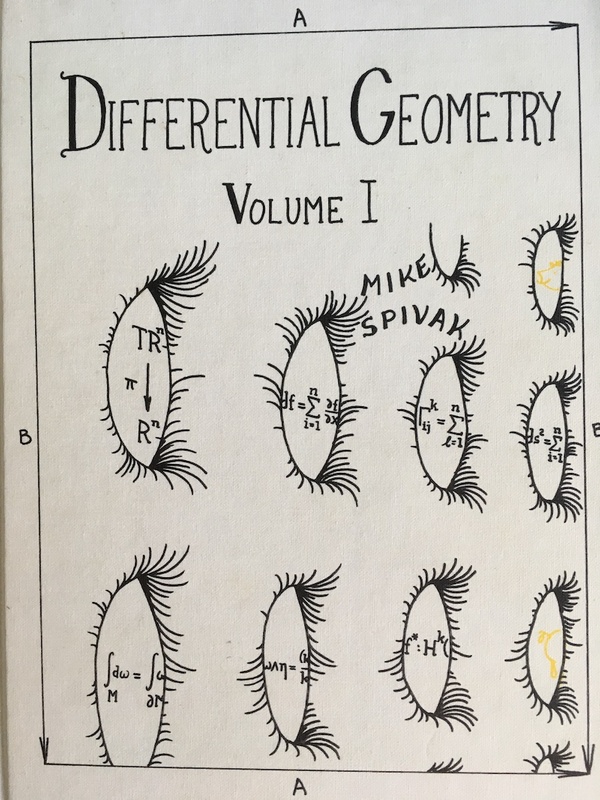 The cover of Spivak’s Differential Geometry, Volume 1, second edition, has two yellow drawings of a pig. If you look up yellow pig in the index, it takes you to a page that doesn’t mention pigs, but does include a drawing that looks something like a ham. 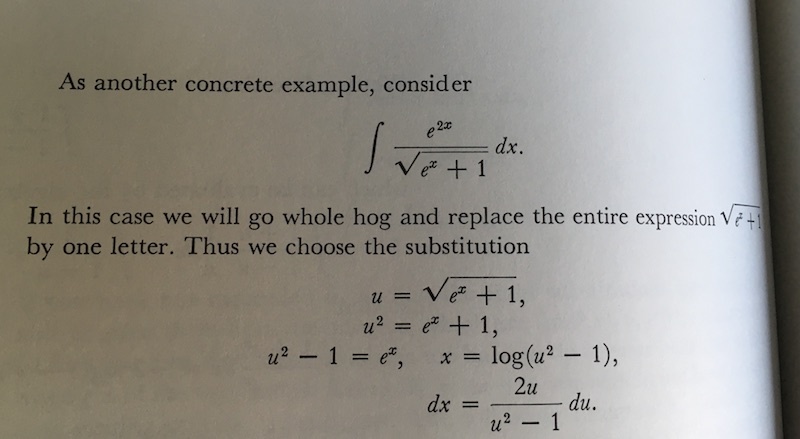 I do not see a reference to yellow pig in Spivak’s first book, Calculus on Manifolds. It was published by Benjamin Cummings. Maybe they would not allow Easter eggs, or maybe the idea of including Easter eggs didn’t occur to Spivak until he had his own publishing company. I also do not see a reference to yellow pigs in his recent Physics for Mathematicians book. I’ve often reviewed books on this site and may review other products some day. I wanted to let readers and potential vendors know what my policies are regarding product reviews. I don’t get paid for reviews. I review things that I find interesting and think that readers would find interesting. I don’t do reviews with strings attached. Most publishers don’t try to attach strings. They simply ask me if I’d like a copy of their book, and that’s that. A couple publishers have tried to exert more control, and I don’t review their books. I don’t write negative reviews because they’re not interesting. There are millions of products you won’t buy this year. Who cares about another thing not to buy? A negative review could be interesting if it were for a well-known product that many people were thinking about buying, but I haven’t been asked to review anything like that. If I find something disappointing, I don’t write a review. Books need to be on paper. Electronic files are fine for reference and for short-form reading, but I prefer paper for long-form reading. I’m open to reviewing hardware if it’s something I would use and something that I think my readers would be interested in. I haven’t reviewed hardware to date, but someone offered me a device that expect to review when it gets here. 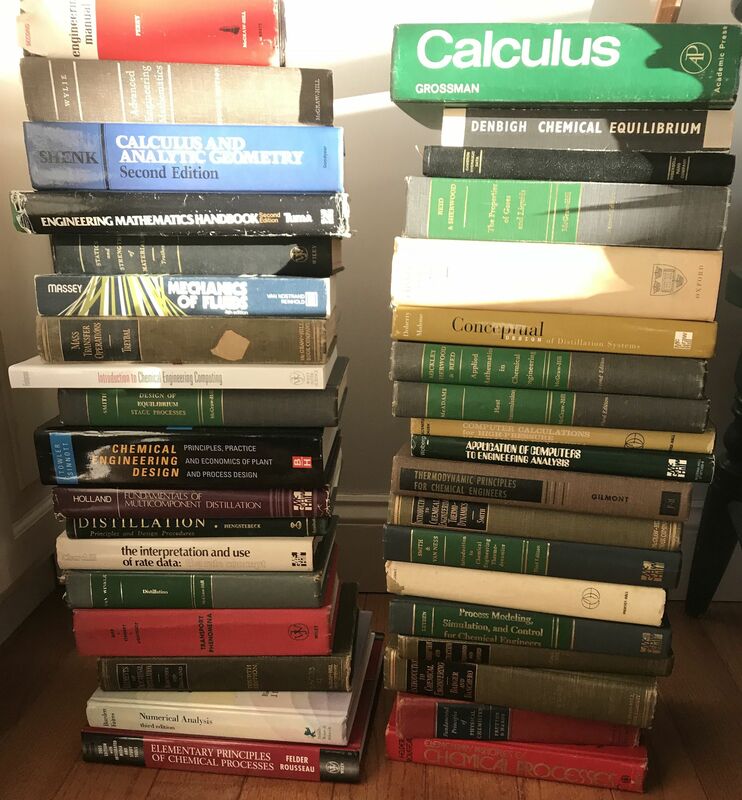 Retiring professor Leonard Fabiano contacted me looking to give away a set of technical books, mostly chemical engineering books. If you’re interested please email him at lenfab@live.com. In one section of his book The Great Good Thing, novelist Andrew Klavan describes how he bluffed his way through high school and college, not reading anything he was assigned. He doesn’t say what he majored in, but apparently he got an English degree without reading a book. He only tells of one occasion where a professor called his bluff. Even though he saw no value in the books he was assigned, he bought and saved every one of them. Then sometime near the end of college he began to read and enjoy the books he hadn’t touched. It took me twenty years. In twenty years, I cleared those stacks of books away. I read every book I had bought in college, cover to cover. I read many of the other books by the authors of those books and many of the books those authors read and many of the books by the authors of those books too. Against all odds, I had managed to get an education. Yesterday I got a review copy of The Power of Networks. There’s some math inside, but not much, and what’s there is elementary. I’d say it’s not a book about networks per se but a collection of topics associated with networks: cell phone protocols, search engines, auctions, recommendation engines, etc. It would be a good introduction for non-technical people who are curious about how these things work. More technically inclined folks probably already know much of what’s here. The Latin phrase memento mori means “remember that you must die.” It has been adopted into English to refer to an object that serves as a reminder of death, especially a skull. 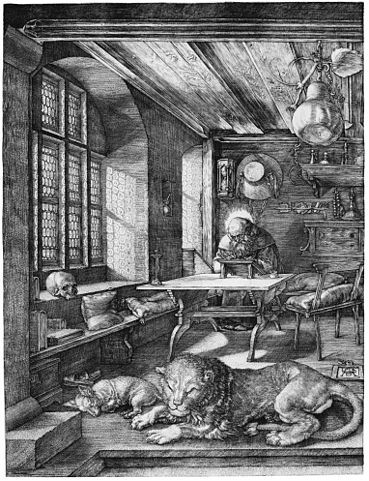 This is a common theme in art, such as Albrecht Dürer’s engraving St. Jerome in His Study. I keep a copy of the book Inside OLE as a sort of technological memento mori. At some point in the 1990’s I thought OLE was the way of the future. 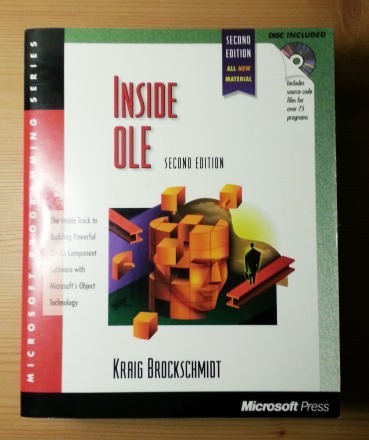 My professional development as a programmer would be complete once I mastered OLE, and this book was the way to get there. Most of you probably have no idea what OLE is, which is kinda my point. 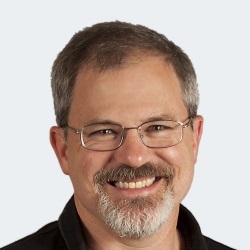 It stands for Object Linking and Embedding, a framework that began at Microsoft in 1990. It was a brilliant solution to the problems it was designed to address, given the limitations of its time. Today it seems quaint. Now I’m doubly removed from OLE: hardly any Windows software developers think about OLE, and I hardly think about Windows development. The thing I was anxious to understand deeply was irrelevant to me a few years later. Despite my one-time infatuation with OLE, throughout my career I have mostly focused on things that will last. In particular, I’ve focused more on mathematics than technology because the former has a longer shelf life. As I quipped on Twitter one time, technology has the shelf life of bread, but mathematics has the shelf life of honey. Still, man does not live by honey alone. We need bread too, even if it only lasts a day. I like science fiction as a genre, but I dislike most science fiction books I’ve tried. I start with books that come highly recommended and give up on most of them. But here are a few I’ve read and enjoyed.